Searching for fonts that look like Worcester? Look no further! 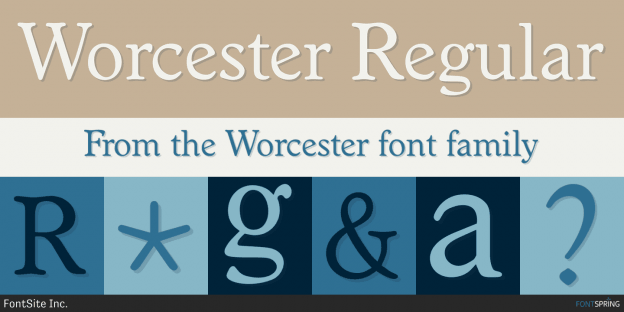 Here you will find fonts that look like Worcester. Use the selector above to match other fonts in the family.